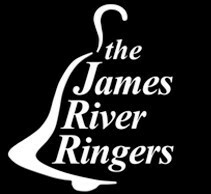 The James River Ringers — the Richmond-area’s premier community handbell ensemble — will be presenting its Christmas Pops Concert here at New Hanover Presbyterian Church. With music ranging from “Sleigh Ride”” to selections from “Charlie Brown’s Christmas,” the concert will have plenty to keep your toes tapping this holiday season. So do plan to join us for an enjoyable evening of delightful holiday music! The concert is also being promoted as an event on our FB page. Click here for info. or to show you will be attending the event.